in abundance this week! Well two in the same week. 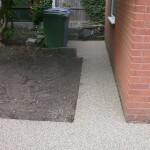 Both resin driveway path patio recommendations came without prompting and via email. “Good morning Simon, I trust you received the cheque for final payment. We both wanted to say how pleased we are with our new drive. It really does look fantastic. Several of our neighbours enquired so you may have some more work to do around here in the future. Also, your workmen were superb being both pleasant and efficient. 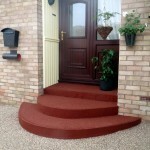 Best regards, Matthew ” is resin driveway path patio recommendations No 2. We pride ourselves on offering a quality and value for money service and when we receive letters such as this it makes our job even more worthwhile. 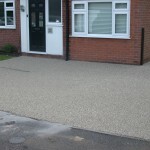 Concrete, imprinted concrete or tarmac we can resurface. Anti slip and virtually weed free results. Ideal to help with those slips trips and falls. 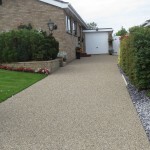 Already we have received enquiries as a result of this particular project, so if you want a stand out resin driveway path or patio, call for a chat. 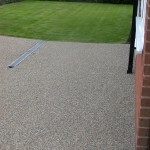 Based in Nottinghamshire we are in easy reach of Bakersfield, Arnold, Church Warsop, Sutton in Ashfield, Ilkeston, Kilburn, Belper, Chesterfield, Dronfield, Ravenshead, Kirkby in Ashfield, Create kerb appeal. For a cost effective solution call us now 01623 623986.Paths, patios, driveways – tarmac or concrete new extensions we can cater for it all. 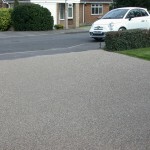 Remember our resin bonded Drive-Cote works will prolong the life of your existing surface. 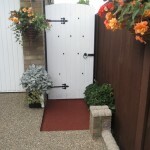 This entry was posted on Friday, September 19th, 2014 at 6:16 pm	and is filed under Chesterfield, Concrete, Diary of a Mansfield Resin Driveway Company, Driveways, Imprinted Concrete, Kirkby in Ashfield, Latest News, Mansfield, Nottinghamshire, Paths, Patios, Resin Bonded Driveways, Tarmac and Asphalt, Testimonials. You can follow any responses to this entry through the RSS 2.0 feed. Both comments and pings are currently closed.